In market terms, the architects and engineers (A&E) insurance market in 2016 was soft. A survey of nearly 80% of the A&E market conducted by specialty broker Ames & Gough revealed flat pricing for over half of the insurers (53%). Though a minority saw higher rates (16%), 32% did see rates fall. A comparison of 2016 to the 2015 survey results shows that it’s a downward trend that’s growing. That year, rate increases were reported by 38% of insurers, flat rates by 57%, and lower rates by 8%. at Berkley Design Professional Underwriters, a Berkley Company, there are over 50 insurance markets writing professional liability coverage for design firms. Yet with the soft market comes some good news: the design professional industry is growing and expanding, say the experts. And thanks to a strong recovery from the 2008 recession, the forecast is for more expansion and design firm growth. What constitutes coverage is where the greatest change has occurred within the A&E market. The liability policy has expanded from professional liability to pollution liability stemming from professional services, and even into network security and privacy liability, says Jim Bechter, senior vice president of Tokio Marine HCC. Ron Kiefer, senior vice president of RPS, says he’s seen pricing that’s flat to decreasing. That’s caused some carriers to ramp up their offerings. “Some carriers are writing $10 million, when in the past they were offering $5 million,” he notes. Moonan agrees, adding that leading carriers are expanding coverage to address emerging exposures. “The dominant carriers in this niche typically offer specific products that align with the needs of small, mid-sized, and large firms, for both primary and excess coverage,” he says. For now, the common claim drivers are, Hansen says, design errors, cost overruns, delays, construction defects and construction accidents. Bechter says there are pockets of regional concern, such as condo projects in the Sunbelt, where exposures may be particularly troublesome. “Project types and location tend to drive the claims,” he says. What’s not being addressed by design firms is the potential for cyber extortion. Kiefer says hackers are hijacking computer systems in other disciplines—law firms, for example—and demanding ransom. He thinks design firms are “highly susceptible” to such extortion. To date, he’s seen no incident from a claims perspective, but he says losses in construction have been well-documented. Yet loss of data, ransomware, and accidental disclosure of confidential data are still major concerns for design firms, says Moonan. He says that, too often, firms don’t comprehend the extent of their cyber exposure, though the firms with revenue in excess of $15 million are purchasing cyber coverage under a separate policy. “Many leading A&E professional carriers provide some grant of third-party cyber liability coverage related to professional services. Some even offer limited first-party coverages, as well,” he adds. Beyond cyber, there are changes within the design practice that Kiefer says are causing increased exposures: the way projects are being delivered. 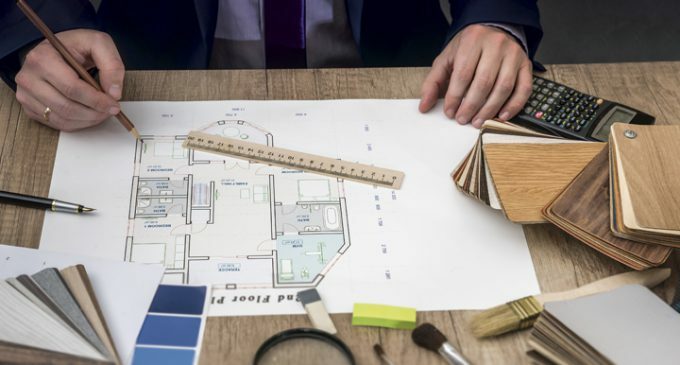 Whereas the previous model would be property owners selecting from design firms, owners are now going directly to the contractor, who then subs out the design work. “Contractors are now the ones in direct communication with the owner, not the design firm as it was previously,” he explains. While this is not a new trend, Kiefer says it’s becoming the preferred way to build a project. Claims, he says, stem from lack of communication between design firms and project owners. “Like everything else in life, you really have to look at the details of the services you’re getting beyond the policy language,” says Kiefer. That includes contract review and educational programs offered by the carrier, he adds. Lori Widmer is a Philadelphia-based writer and editor who specializes in insurance and risk management.